Designed for use with 12 volt and 110 volt electric pumps to dispense gasoline, 15% ethanol, diesel, B10/20 biodiesel, kerosene, and oil. 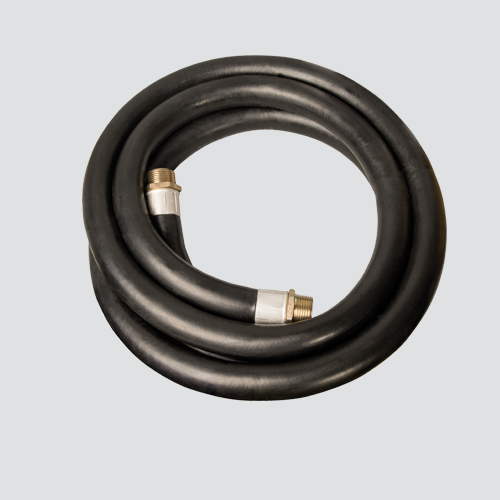 This high quality hose is constructed with a built in static wire to dissipate static electricity associated with electric pumps. It is coupled with male fittings on each end and internal spring guards, which prevent kinking at the fittings and dramatically extends the life of the assembly. Notes: Do not use with biodiesel. Not for commercial pump use! A static wire is required for use with 12 or 110 volt "electric" pumps.